A more appropriate name for the Breakthrough Institute shameless liars is the BROKEN-RECORD or the BROKEN-THROUGH with NUCLEAR BALONEY Institute. Enjoy this expert and detailed debunking of theses low down lying cads. I’ve recently stumbled upon a number of articles by the Breakthrough Institute (BTI) that aimed at discrediting renewable energy on the one hand and on the other preaching about nuclear energy as the solution for the global energy crisis of the 21st century. With their hearts and minds pre-set on pushing their narrative, that some kind of a nuclear salvation is being held back by leftish environmentalists (sinister! ), the so called German “Energiewende” (Energy Transition) has apparently become a regular target of the Breakthrough Institute staff’s publications. Public displays of ignorance and misrepresentation of facts are neither new nor rare when commentators try to discredit the feasibility of a shift to a renewable energy supply. This most regulary includes unscientific pandering to conventional wisdom. In the case of the Breakthrough Institute’s recent articles on Germany and solar energy, all of the above are certainly the case. As I mentioned at the top, I am writing this because I’ve recently stumbled upon a couple of Breakthrough Institute articles — I wasn’t too familiar with the “Breakthrough Institute” before that. In the middle of May, the Breakthrough Institute (BTI) published an article comparing the alleged costs of what its analysts call “the German solar program” and the costs of a Finnish nuclear project currently under construction and which is plagued by cost overruns. 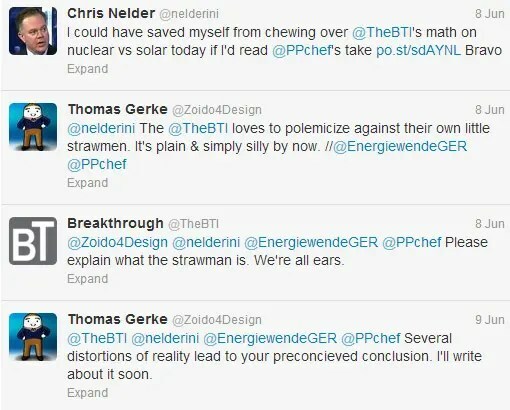 A couple of weeks later, Michael Shellenberger (BTI President) & Ted Nordhaus (BTI Chairman) published an article defending the previous article against unspecified criticism and making a couple of incredibly silly claims in the process. Reason I wrote this post. So here’s a roundup of a few straw men, dubious connections, distortions, and stuff that’s plain and simply silly. Comparing the alleged gross-price tag of Germany’s solar policy with a Finnish nuclear project might seem like a very clever thing to do, but in reality it’s simply silly. The comparison suggests a non-existent equality in circumstances, goals, and preconditions that simply isn’t there. What I am trying to say is, that if you want to judge two policies or projects, you should judge them foremost by their goals and motivations, not by an unrelated number game. The motivation and the goals of Germany’s unprecedented solar policy are neither a secret nor hard to research (EEG 2004, Article 1). For decades, the main problem of solar had been identified as it being too expensive to deploy. But, at the same time, only deployment and mass production would lead to significant cost reductions. To overcome this barrier, the German parliament adapted the Feed-in-Tariff (FiT) in 2004 to incentivize the installation of solar PV systems, thus creating the first uncapped mass market for solar power. It was the goal to reduce the technology’s cost through deployment, innovation, and market forces within the solar industry. The plan has succeeded a lot faster than anticipated and the cost of PV is expected to decline by at least another 50% by 2020. 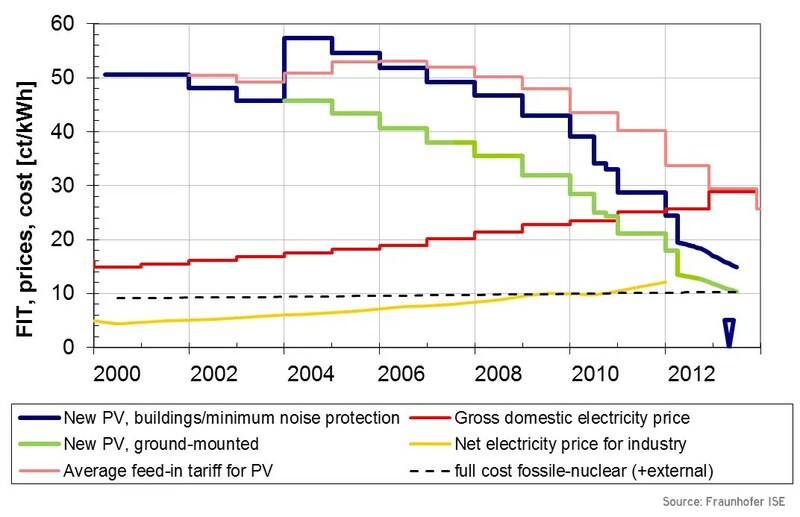 The development of feed-in-tariff rates for solar power (actual production costs / kWh are a bit lower). In contrast, the goal of the Finnish nuclear power plant had been to have a fully operational 1.6 GW Generation III+ nuclear reactor by 2009 for $4.2 billion. Since the decision for the new nuclear plant was made in 2000, that would have been 5 years of planing and permitting and 4 years of construction. Since the current estimate is that it might enter commercial operation in 2015 — 10 years after construction began — and at a price of approximately $11.1 billion, it can with no doubt be considered a massive failure. Everyone can judge for themselves what they want to think about the two political projects. On the other side, the newest commercial product of the veteran nuclear industry failing miserably at delivering what it promised. But there’s no arguing about the outcome. In most places around the world (including Germany), installing solar technology onsite can now lower the bill for households, businesses, and even industries. It takes only a few weeks/months from making the investment decision to producing a relatively certain monthly amount of peak-load power. I won’t delve into how nuclear and solar operate in different technological and economic paradigms at this point, but it should be obvious to everyone that neither solar panels nor a nuclear reactor represent a complete energy system. I was not surprised to find the “100 Billion Euro disaster” paper written by Dr. Frondel of the RWI at the heart of the the first BTI story. What’s amusing is the naïve sort of “a German wrote it, it must be true!” attitude that is rather prevalent in many articles/comments that quote his work. Rarely does any journalist follow the money or intentions, nor does the American press care about the criticism of Dr. Frondels’ work. In reality, Dr. Frondels’ analysis is nothing more than a simple calculation of a price tag. He then chooses to equate the price tag with macroeconomic costs, by overly simplifying and ignoring the complexity of the economic reality. Basically, the study was written to give lazy journalists easy-to-copy-&-paste headlines and snippets in order to attack solar energy (which is controversial, of course, which brings in readers and makes the journalists look “critical” and “smart”). Undoubtedly, those economic interests that have commissioned the RWI study and fund the work of people like Dr.Frondel are very pleased to see the BTI making such “good” and uncritical use of their investments. I’ve created this little infrographic below to illustrate some background information on the history of Dr. Frondels’ study and other somewhat related information. See what you can find. To give you an even better understanding of the general nature of Dr. Frondels’ work in recent years, I would just like to refer you to the RWI’s publication called “Positionen Nr. 45” from April 2011. The title of this particular RWI paper was, “The Cost Of Climate Protection – A Look At Electricity Prices.” In it, Dr. Frondel comes to the surprising (Who pays the piper, calls the tune) conclusion that German household electricity prices in 2011 could have remained at their 1998 levels if it wasn’t for all that nasty climate action! I personally find it fascinating how the BTI chooses to utilize Dr. Frondels’ work to discredit renewable energy and attack people like Bill McKibben, while at the very same time, the whole Keystone XL decision is an increasingly important issue in the US. 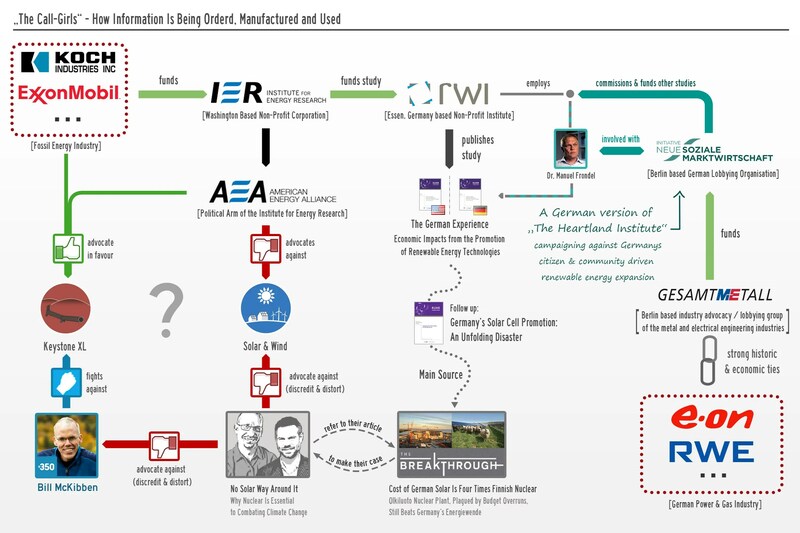 Well, whatever reasons the BTI may have for its recent urge to make renewables look bad, it did choose not to mention the dubious connections of its main source on the alleged economics of Germany’s renewable energy policy. Its reasoning for withholding this relevant background information is obvious though: A study comissioned by the American Oil & Gas industry, written by a guy who is involved with a German version of the Heartland Institute simply isn’t a very convincing main witness when you are try to make a simplistic case against renewables in favor of nuclear energy. 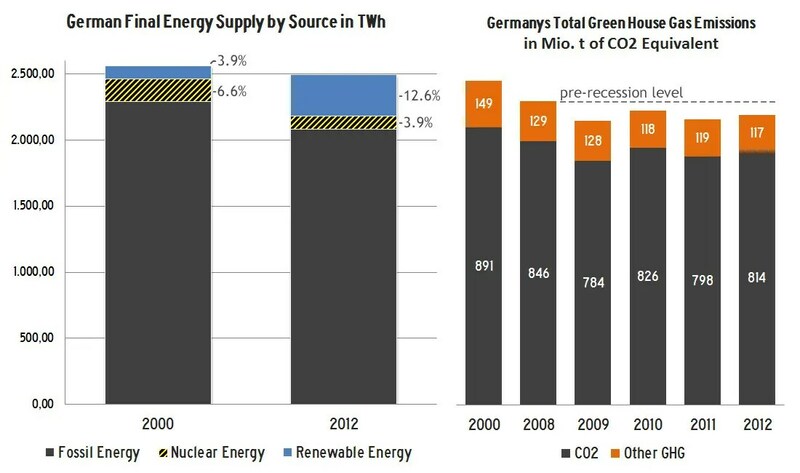 The good folks at the BTI love to foster the myth that less nuclear must lead to higher emissions, and that Germany’s decision to phase out nuclear will kill the climate. Unfortunately, there is no denying the fact that emissions did in fact rise in 2012. 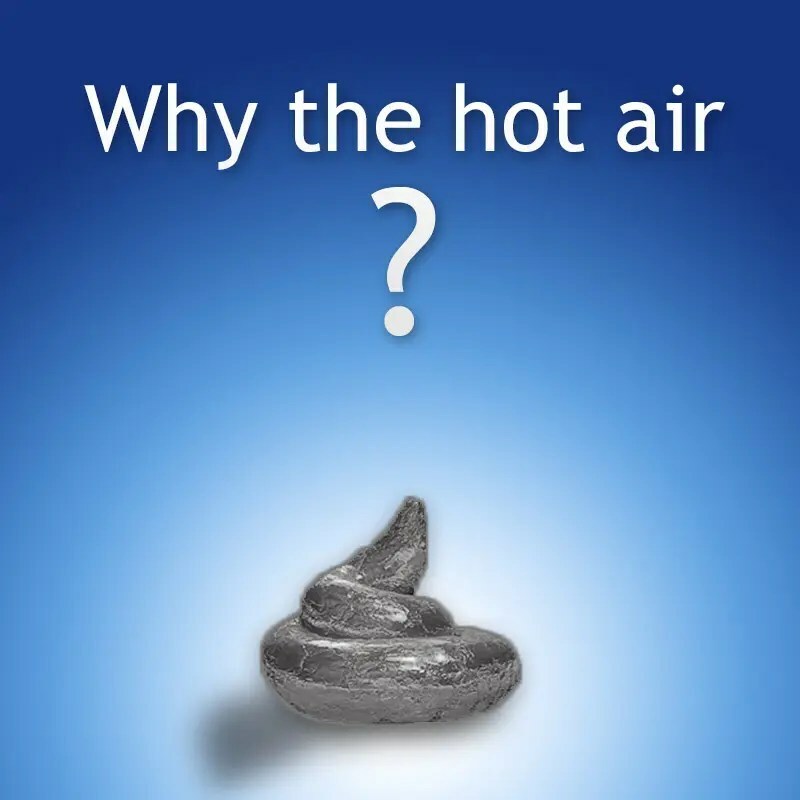 However, not mentioning the colder-than-usual winter (including the related French electricity crisis in February 2012) and the increase of coal-powered electricity exports due to the collapse of the European emissions trading system is a willful choice. For the record, with 317 Mio tons of CO2, the 2012 emissions from electricity generation are still well below the 5-year pre-recession average (2003-2007) of 330 Mio tons. If you consider that the German economy made a strong comeback after the global recession in 2009, with record-breaking employment and export levels, this becomes even more significant (i.e. energy productivity increased). In fact, 2012 emissions per kWh were almost 10% lower compared to 2002, which was the year with the highest nuclear output in Germany. More info on total GHG emissions (not only the 30% caused by electricity generation) is included below. #4 – Renewables have had no impact! I am hopeful that he’ll correct his claim…. During the first 12 years of this century, the final energy supplied by renewable energy sources has more than tripled. Final energy is what is left of primary energy after conversion and transmission losses. At the same time, efficiency increases have reduced the overall final energy demand, despite a growing economy. Both developments did not only compensate for the decline of the marginal nuclear contribution, but they also supplanted about 9.3% fossil fuel final energy consumption since the year 2000. Fossil primary energy consumption (energy content of the fuel input of a countries energy system) declined by 11.5% since 2000 and by 18% since 1990. Which in turn explains the decline of greenhouse gas emissions by 10.5% over the same period and a decline of 25.5% compared to 1990. It’s important to keep in mind that the German “Energiewende” (energy policy portfolio) is about improving energy efficiency (since the late 1970s) and increasing the share of renewable energy sources (proactively since 2000) at the same time. While the growth of renewables in the electricity sector gets a lot of attention, it’s by no means the only aspect of the “Energiewende”. 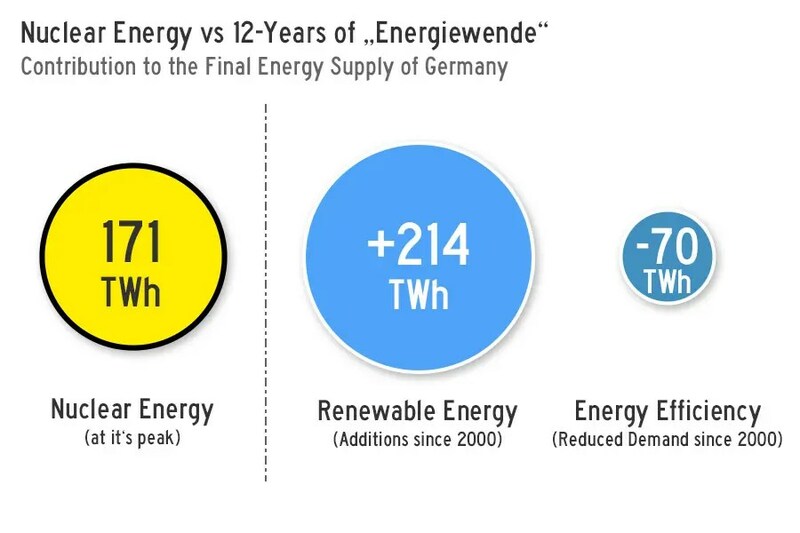 Considering this and the facts mentioned before, it’s only fair to notice that the “Energiewende” has accomplished significantly more during just the last 12 years, than the quite substantial nuclear program did since its inception. These small details (easy-to-access facts) are a good transition to my next and final point in this post. #5 – The Germans don’t know what they are doing! “What that means is that if Germany doubled the amount of solar, as it intends to do, there might be a few hours or even days every year where the country gets 100 percent of its electricity from solar, even though solar only provides 10 percent of its annual electricity needs. 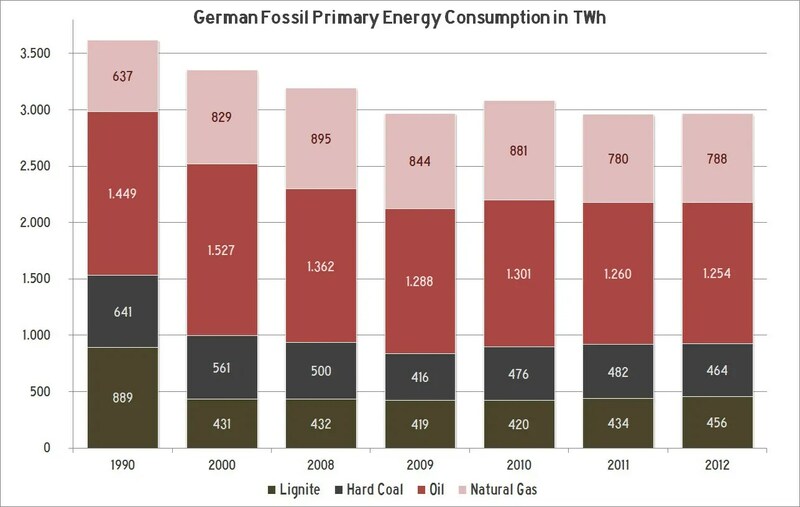 Suggesting that the German long-term energy strategy is somewhat irrational is a very common thread of most BTI attacks on the “German Energiewende.” They want you to believe that Germany – the fourth largest economy of the world and the country that is excessively proud of its engineering art and long history of industrial innovation — is wandering into some kind of fantasy land. In my opinion, this claim alone should make even uninformed readers pause and question what the BTI is suggesting. Unfortunately, the BTI is probably somewhat successful in reinforcing conventional wisdom on renewable energy and its “green hippies are naïve” narrative, simply because most people usually don’t get quality information about these rather complex issues. This tilts the game in favour of people voicing simplistic messages (e.g. if you care about climate change => go nuclear!). The BTI might also be successful in confusing the public because it works so hard to misrepresent Germany’s energy strategy (one of the world’s leading positive examples of strong renewable energy policy), arguing almost exclusively against its little straw men army instead of discussing reality. Is it doing so out of ignorance or because reality is infringing on its late 1980s-style nuclear-salvation narrative? I don’t know. What I do know is that it spends a lot of time, energy, and money suggesting that Germany’s game plan is to simply go solar (with a little wind added in) or that Germany hasn’t run the numbers. Obviously all those German scientists and engineers, policy leaders, and business leaders didn’t check the numbers, because they didn’t come to the conclusion that there has to be a nuclear component. It can’t be what must not be! In my opinion it’s very simple. Unless you choose to believe all the comfortable conventional wisdom that comes along, you don’t have to be a Raketenwissenschaftler to notice that the Breakthrough Institute is producing a lot of hot air. If you come to that conclusion, the next legitimate question should be to consider its motives. Why has it chosen to walk down a partisan disinformation alley? I strongly believe that an informed public is crucial for confronting the global energy crisis so I am obviously kind of disgusted by narrow-minded messages of ignorance being delivered as if they were wisdom from enlightenment. 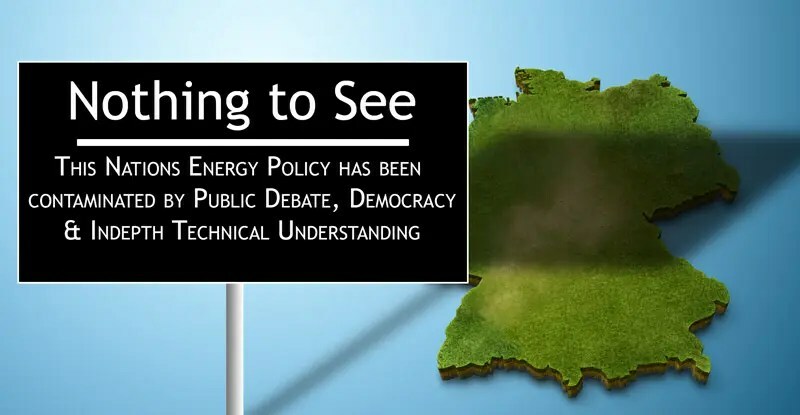 Still, I can not help finding the BTI’s attempts to discredit Germany’s energy vision as quite amusing and at the same time intriguing (more on that at the end). While there are definatly worse anti-renewable advocates in the US, addressing some of the BTI’s claims gives me the opportunity to relive some of the more ridiculous energy debates that happened 10-40 years ago in my country. In Germany, I can only read and ask people about how previous generations struggled to overcome certain mental barriers. However, due to the internet and the rather asynchronous state of the energy debate globally, I can now experience those struggles firsthand — which is exciting! 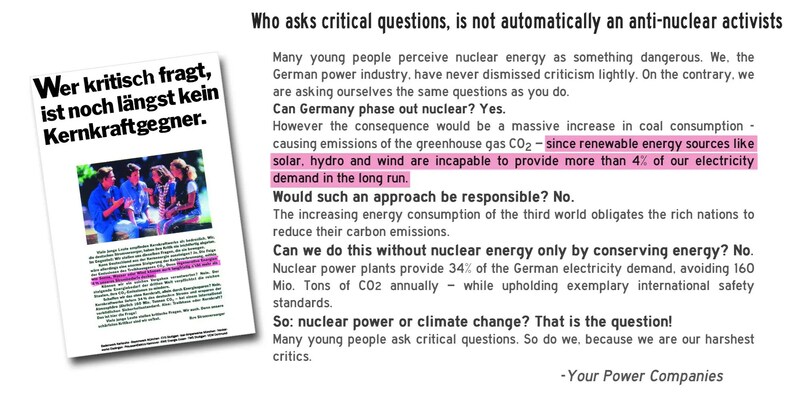 Don’t get me wrong, there is still a lot of anti-renewable and anti-Energiewende advocacy going on in Germany, but it has gotten a lot more sophisticated and insidious in recent years due to an overwhelming pro-renewable public opinion. In Germany, the goal of anti-renewable advocates has long been to suppress the rise of ambitions within the civil society. There are significant vested interests that profit from the status quo, so they fear any challenge of the current structure of the energy industry. De-activating society by feeding it no-future scenarios or by telling it that meaningful action requires technological breakthroughs that are decades away are just two of the common themes. Pretty standard anti-enlightenment stuff. I can understand it from a PR point of view. Though, I think they are shooting themselves in the feet in the process by attacking renewable energy deployment increasingly often. In any case, the Breakthrough Institute is one of America’s first more prominent organizations exercising phase 3 of anti-renewable advocacy designed to discourage those who have realized that there is an alternative, but who are not yet convinced that a rapid transition to renewable energy is feasable or how it might work. The surprisingly large amount of media coverage which the BTI enjoys — compared to so many institutions and people who are actually having an impact around the world — reinforces my belief that the powerful “Status Quo” crowd wants you to hear their message. This is fact is intriguing because it would mean that somebody is starting to get worried about a long-overdue, massive energy democracy spill on US soil. Today, basically every assault on the transition to renewable energy in Germany comes in the disguise of general support. Whether it’s the current German federal government trying to discourage renewable energy investments or the conventional energy industry that builds coal power stations rendered unprofitable by the rise of renewable community power — everyone is officially 120% in favor of the “Energiewende“. The common use of such phase 3 tactics by the “Pro–Status Quo” crowd is also the reason why many international analysts and journalists fail miserably at understanding the current developments over here. There is a naïve tunnel vision when it comes to looking at the actual front lines of the German energy debate. This lack of quality by international commentators is also the reason why partisan criticism by people like Dr. Frondel of the RWI and INSM is so often quoted throughout the international press, while all those numerous other German experts promoting the energy transition are hardly ever heard of — despite the fact that they have obviously shaped the country’s policy. Do any of these nuclear nuts EVER price in the cost of baby sitting used fuel rods for a few CENTURIES!!? WHO paid to dig those deep caverns in Finland or Norway to store this poison per secula seculorum? Do ANY OF THESE IDIOTS understand cost accounting? And in the USA they've got another "bright" idea. They want to use LIQUID SODIUM (of the fast breeder accidents infamy, by the way) to ACCELERATE radioactive decay of fuel assemblies so they will be A-Okay in ONLY a hundred years or so instead of 100,000 YEARS! Aren't they SO thoughtful and kind? One more thing. Has the BROKEN-THROUGHOUT INSTITUTE ever tried to price the cost of paying nuclear scientists and technicians versus PV panel and Wind technicians and maintenance personnel? OF COURSE NOT!! The word "nuclear" is code for $$$$$$ and they just don't want to let go of their poisonous cash cow. To HELL with them! Did you know that rats eat the wires in the pumps used to control the heat at Fukushima? And we are supposed to trust TEPCO? Arnie Gundersen blasts all the lies, obfuscations and open disregard for all regulations and ethics by the nuclear "industry" criminals and their bought and paid for shills. Arnie claims we are told there are WATCH DOGS taking care of nuclear risks but they watch dogs are actually LAP DOGS! He suggests googling "Will Shill for Nukes" to see what these "so-called" "watch dogs" are REALLY ALL ABOUT. On March 4, the Austin American-Statesman published an op-ed article by Sheldon Landsberger, professor of nuclear engineering at UT. Headlined "Funds for nuclear waste storage should be used for just that," the column argues that the government is fleecing electric-utility ratepayers, who contribute mandatory per-kilowatt-hour fees toward the development of the proposed national nuclear waste dump at Yucca Mountain in Nevada. Landsberger charges that a portion of the fees earmarked for the federal Nuclear Waste Fund are diverted to the general U.S. Treasury. "This is stealing money from taxpayers who were required to support the waste management project," Landsberger writes. But they're not Landsberger's. Nor are the other 633 words that appeared in the Statesman that morning under Landsberger's byline. "It was something which was written for me," Landsberger told me later on the phone. "I agreed with it, I went over it, read it a couple of times, took all of 15, 20 minutes." On Tuesday, the Statesman published a letter from Landsberger apologizing for his misrepresentation. Landsberger says he doesn't know who actually wrote his column. He received it, via e-mail, from an employee at Oak Ridge National Laboratory in Tennessee. (Landsberger emphasized that he believed the employee, whom he wouldn't name, sent him the column as a private citizen, rather than on behalf of the national lab.) Nor was this the first time; when it comes to deceiving newspaper readers on behalf of a stealth nuclear lobbying campaign, Landsberger is an acknowledged recidivist. "I've been doing this four or five years," he says. "They [op-ed columns] come from Oak Ridge maybe two or three times a year, particularly when there's a hot-button issue." Landsberger's accomplice is Theodore M. Besmann, an Oak Ridge employee since 1985. Besmann is a prolific correspondent. Beginning at least as far back as 1978, he has had published under his own or others' names dozens of nuclear love songs in newspapers across the country, from The New York Times to the San Francisco Chronicle to The Washington Post to the Houston Chronicle to The Christian Science Monitor ("Nuclear: The Environment's Friend," appeared in the Monitor in 1994). None but a blockhead, Samuel Johnson said, writes for free. :evil4: Ted Besmann is no blockhead. He moonlights as a paid consultant to Potomac Communications Group, the Washington PR firm that works for the Nuclear Energy Institute, the nuclear industry's stentorian voice and lobby. The NEI's current primary concern – besides beating the congressional bushes for tax breaks and subsidies for nuclear power – is opening the atomic garbage dump at Yucca Mountain. Many of the nation's 103 reactors are running out of on-site storage space for their spent fuel rods, the NEI says, and may have to close if the Energy Department doesn't soon open the Yucca Mountain facility. To spread its message, the electric utility-funded NEI relies on generous campaign contributions to key members of Congress, virtually unbridled access to the Nuclear Regulatory Commission, and academic "experts" who prostitute their reputations and those of their universities. Enter Sheldon Landsberger, Ph.D. He directs the Nuclear Engineering Teaching Lab at UT and coordinates the Nuclear and Radiation Engineering Program. He's a busy guy. So when Ted Besmann forwarded him the op-ed on Yucca Mountain, Landsberger read it, "signed off" on it, and passed it on to the Statesman as his own, just as he'd done with the Statesman and other papers, once or twice a year for at least five years. Is that such an outrage? Well, yes, says Jonathan Knight, an ethics specialist for the American Association of University Professors. "If I see an article by Jack Spratt, then I assume that Jack Spratt has indeed developed the ideas that are in his document," says Knight, who directs the AAUP's program on academic freedom and tenure. "If I learn that in fact Jack Spratt has only lent his name to that, I've got a problem in terms of being seriously misled." Unsurprisingly, the perpetrators of this "public affairs campaign" see it differently. :evil4: It matters not who writes the piece, says Bill Perkins, founding partner of Potomac Communications, but what the piece says. "Whether the words are largely theirs, or largely not theirs, the views are. 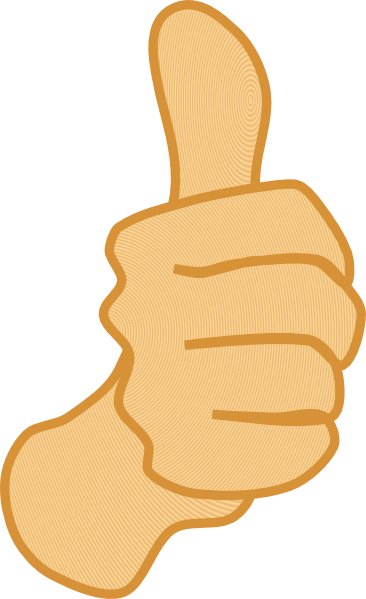 Nobody would submit an article if they didn't totally agree with it." Besides, Perkins says, everyone does it. "I doubt that there is a public affairs campaign by any advocacy group in the country that doesn't have some version of this. The op-ed pages are one of the ways people express their views in these debates." But Landsberger did not exactly express his views; he appropriated those of the nuclear lobby, in their words. The distinction is crucial. Otherwise, says Knight of the AAUP, he is "foisting an illusion upon us: that he really has come up with those ideas himself." Landsberger acknowledges an offense – but claims it was he who was victimized. He says that a "few months ago" he had a "sneaking suspicion" that Ted Besmann was forwarding him the same op-ed columns other professors were receiving. "When I started doing this, I was under the impression that rightfully or wrongfully I was the only guy." He said he has since told Besmann he will no longer participate. Besmann says Landsberger is mistaken about his place in the PR machine. "I do help with letters to the editor," he says. "It's always original material, unique to that person." But Besmann says he only occasionally ghostwrites op-eds, that more often he merely passes them on from the ghostwriters of Potomac Communications Group. Was Landsberger saying that it's ethical to slap your name on writing that's not yours as long as no one else claims it, too? "I had no problems with them coming to me," Landsberger says, "but then going on to someone else and having them do the same thing, I felt betrayed, duped, whatever the word is." Suppose, the professor was asked, a student of his submitted a paper he didn't write as his own. Wouldn't he and the university consider that cheating, and how is that different from what he, Landsberger, did? There was a long, long pause. "I don't put them both in the same light," Landsberger finally said. "There was no monetary value in here, number one, and number two, there was no credit to be given." Knight, the ethics expert with AAUP, disagrees: "Whether it's an op-ed in a local newspaper or an article in a learned journal, we're talking about the same phenomenon, which is plagiarism: presenting the ideas as if they were one's own." University policy appears similarly unforgiving. Under UT guidelines, governing "all research conducted at the university," any allegation of "scientific misconduct" – defined as "fabrication, falsification, or plagiarism" – would be referred to the associate vice-president for research, Sharon Brown. As for the university's "working definition" of plagiarism, Brown referred me to the federal Office of Research Integrity, which "considers plagiarism to include both the theft or misappropriation of intellectual property and the substantial unattributed textual copying of another's work." The ORI defines "unattributed textual copying of another's work" as "the unattributed verbatim or nearly verbatim copying of sentences and paragraphs which materially mislead the ordinary reader regarding the contributions of the author." For at least 25 years, an Oak Ridge employee named Theodore M. Besmann has had published nuclear love songs in newspapers across the country, under his own or others' names. If an allegation of scientific misconduct is made, Brown said, she and university ethics officer Lee Smith, an attorney in the legal affairs office, would conduct an initial inquiry to determine "whether there is enough evidence to warrant a full investigation." Professor Landsberger is hardly Big Nuke's lone academic conduit for conducting stealth PR campaigns. His March 4 testimonial to Yucca Mountain in the Statesman apparently rolled off the same assembly line as a piece three months earlier in The State of Columbia, S.C. That column, "Time to move ahead on nuclear waste disposal," appeared Dec. 9, 2003, under the byline of Abdel E. Bayoumi, chairman of the mechanical engineering department at the University of South Carolina. Landsberger's column is at times a replication of Bayoumi's. And when it's not identical, it can be downright fraternal. Take the beginning of Landsberger's last paragraph: "The record demonstrates that since the advent of nuclear electricity more than 40 years ago, scientific organizations across the world have examined the issue of radioactive-waste management." Compare Bayoumi's words: "The record shows that since the advent of nuclear electricity more than 40 years ago, scientific organizations around the world have examined the issue of radioactive waste management." Landsberger's column concludes by quoting a line from a 14-year-old study supporting burial underground as the "best, safest long-term option for dealing with high-level waste." Bayoumi quotes the same, "best, safest long-term option" line from the same study, but ends his column with a flourish: "The government should get on with it." Landsberger and Bayoumi each told me he was unaware of the other's column. And while Landsberger now acknowledges his duplicity, Bayoumi insists the language in his column is his alone. How, then, to explain that three paragraphs of Bayoumi's column – as well as his grand "The government should get on with it" finale – appeared in an op-ed piece by a University of Pittsburgh professor in The Buffalo (N.Y.) News on July 26, 1993, a full 10 years earlier? Or that the Buffalo News columnist also used the industry's time-honored refrain: "The record shows that since the advent of nuclear energy more than 30 years ago" – note the earlier time-frame – "scientific organizations around the world ..."
"I have nothing really to say," Bayoumi replied when asked to explain his verbatim language. "I have no knowledge of that [Buffalo News] column. I have no idea who did what 10 years ago." Bayoumi did allow that some of his "numbers" came from "fact sheets" posted on the Web site of the American Nuclear Society, a professional organization based near Chicago. "But all the writing is my own," he insists, adding, "I didn't consent to let anyone else use it." But Bayoumi apparently allowed himself to be used. And there he is not alone. Like Landsberger, Bayoumi deceived his hometown newspaper by submitting and representing as his own work what apparently originated as an industry-generated and -funded column. Could these two professors of engineering, one at Texas, the other at South Carolina, be the only beneficiaries of the Nuclear Energy Institute's ghostwriter-in-residence program? Further investigation has uncovered what might be called Big Nuke's vast op-ed conspiracy: a decades-long, centrally orchestrated plan to defraud the nation's newspaper readers by misrepresenting the propaganda of one hired atomic gun as the learned musings of disparate academics and other nuclear-industry "experts." In Oregon, for instance, state climatologist and Oregon State University professor George H. Taylor publishes under his name columns written entirely or in part by Bernstein. Says Taylor: "There have been people who have sent me things and said, 'We just want you to say that you wrote this.' And I'm uncomfortable doing that; I'd prefer just to write things myself." But an examination of Taylor's collected works reveals he doesn't always get around to dashing off his own words. Asked about his op-ed that appeared in the Seattle Post-Intelligencer on April 9, 2002, Taylor recalled that he worked from an outline Bernstein sent him and that he "basically did the writing myself and sent it back to them." Somehow, however, between the time Taylor returned his piece to Bernstein and its publication, it came to echo a handful of other op-eds published previously. Each of those other columns, published under similar headlines ("Nuclear Power Provides a Cheaper, Cleaner, Safer Alternative"
is representative) and different bylines in The San Diego Union-Tribune, The Detroit News, The Beaumont Enterprise, Richmond Times-Dispatch (and after Taylor's, in Florida Today, Melbourne, Fla.), used at least one stock sentence: "Far from being an atoms-for-peace relic heading for extinction, nuclear power now sets the competitive bench mark for electricity generation." (Occasionally a minor word was changed – "today" substituted for "now," for example.) And there were a multitude of interchangeable paragraphs or sentences that appeared to be cut-and-pasted from one to another. Before you dismiss this argument as little more than an exercise in LexisNexis-fueled pedantry, consider yet another serial instance of nuclear collusion – a chorus of received and parroted ideas likely to induce cynicism in even the staunchest believer. Here it may help to note that no matter how indefatigably Bernstein yanks his puppets' strings to argue that nuclear power is, well, a "cheaper, cleaner, safer alternative," the industry's Achilles' heel is still the waste question: how to safely manage nuclear waste remains unresolved. Meanwhile, the radioactive waste piles high. And not just the high-level spent fuel rods, but so-called low-level waste generated in medicine and manufacturing. In the early 1990s, the industry launched a PR campaign to site commercial low-level nuclear waste dumps in various states: Nebraska, Pennsylvania, North Carolina, and Texas. Writing in the Omaha World-Herald of the proposed Boyd County, Neb., dumpsite, Dr. Samuel H. Mehr, the director of nuclear medicine at an Omaha hospital, proclaimed in November 1990 that "the best scientists and engineers available ... believe that the ... facility will be among the safest and best-engineered waste facilities of any type in the country." Two years later, a nuclear engineering professor at Penn State, Anthony Baratta, took to the pages of Harrisburg, Pa.'s Patriot to champion a dump in Pennsylvania as, yup, "among the safest and best-engineered waste facilities of any type in the country." Klein wrote in response to coverage of an Austin rally to protest the dump. He declared that to leave the waste "at multiple sites – many in populous areas of the state – is a monitoring nightmare and brings into question the motives of the most strident opponents of the facility." After insulting those who might wonder why nuclear waste is safe for rural residents but not for city folk, he suggests that an effort be made to tell those many families who trooped to Austin from Hudspeth and surrounding counties that "the food they eat and the water they drink will not be radioactive." Have you ever heard of the Association of Women in ENERGY (AWE)?. NOTICE the title says NOTHING about NUCLEAR energy, just that thermonucleardynamic process we all hold dear along with our SUVs. You will NEVER GUESS WHO THE DIRECTOR IS. Remember that NUKE SHILL wife of another NUKE SHILL that tried to run for congress back in 2004? The Nuke Pukes take care of their own. And they don't ADVERTIZE the fact that they SHILL for nukes. The above covers BOILER PLATE Credentials for an "energy Expert" . Sneaky Reptiles, aren't they? Cool graphic of a giant radioactive poison pill called a Small Modular Reactor. Small Modular Reactors: First the HYPE! Nuclear energy continues to be an important part of America’s diverse energy portfolio, and the Energy Department is committed to supporting a domestic nuclear industry. While we are supporting the deployment of passively safe large nuclear reactors, both in the United States and around the world, we are also looking to the next generation of nuclear energy technologies. Today, the Department announced a new award that supports first-of-its-kind engineering, design certification and licensing for an innovative small modular reactor (SMR) design. Supporting this innovative technology will help advance low-carbon nuclear energy deployment in the United States. What is a Small Modular Reactor? Small modular reactors are approximately one-third the size of current nuclear power plants or about 300 megawatts -- enough to power almost 230,000 homes each year. These reactors feature simplified, compact designs that are expected to be cost-effective and incredibly safe. Agelbert NOTE: I'm surprised they used the expression "cost-effective" instead of "too cheap to meter!" And why the laughing hard emoticon? ANSWER: See the adjective "incredibly" for the hidden truth in the propaganda mendacity. Clever fellows, aren't they? For example, small modular reactors could be manufactured in factories and transported to sites where they would be ready for installation upon arrival, reducing both capital costs and construction times. SMR designs also have built-in passive safety systems that use the natural circulation of air, water and steam to maintain the right conditions for operation. At the commercial scale, SMRs could expand the options for nuclear power in the U.S. and around the world. The smaller size also makes these reactors ideal for small electric grids and for locations that cannot support large reactors, in addition to offering utilities the flexibility to scale production as demand changes. The investment made today builds upon the Department’s broader efforts to promote a sustainable nuclear industry in the U.S., including cultivating the next generation of scientists and engineers and solving common challenges across the industry. Check out more on these efforts at www.energy.gov/nuclear. For the nuke puke true believers, you will find a slick infographic on SMRs at the above link created with mendacious TLC to have soft colors, look peppy, safe, clean, modern, safe, forward looking, high tech, inexpensive, and did I mention safe? According to the U.S. Department of Energy (DOE) and some members of the nuclear industry, the next big thing in nuclear energy will be a small thing: the “small modular reactor” (SMR). SMRs—“small” because they generate a maximum of about 30 percent as much power as typical current reactors, and “modular” because they can be assembled in factories and shipped to power plant sites—have been getting a lot of positive attention recently, as the nuclear power industry has struggled to remain economically viable in an era of flat demand and increasing competition from natural gas and other energy alternatives. SMRs have been touted as both safer and more cost-effective than older, larger nuclear reactor designs. Proponents have even suggested that SMRs are so safe that some current NRC regulations can be relaxed for them, arguing that they need fewer operators and safety officers, less robust containment structures, and less elaborate evacuation plans. Are these claims justified? SMR-based power plants can be built with a smaller capital investment than plants based on larger reactors. Proponents suggest that this will remove financial barriers that have slowed the growth of nuclear power in recent years. However, there's a catch: “affordable” doesn’t necessarily mean “cost-effective.” Economies of scale dictate that, all other things being equal, larger reactors will generate cheaper power. SMR proponents suggest that mass production of modular reactors could offset economies of scale, but a 2011 study concluded that SMRs would still be more expensive than current reactors. Even if SMRs could eventually be more cost-effective than larger reactors due to mass production, this advantage will only come into play when many SMRs are in operation. But utilities are unlikely to invest in SMRs until they can produce competitively priced electric power. This Catch-22 has led some observers to conclude that the technology will require significant government financial help to get off the ground. One of the chief selling points for SMRs is that they are supposed to be safer than current reactor designs. However, their safety advantages are not as straightforward as some proponents suggest.SMRs use passive cooling systems that do not depend on the availability of electric power. This would be a genuine advantage under many accident scenarios, but not all. Passive systems are not infallible, and credible designs should include reliable active backup cooling systems. But this would add to cost. SMRs feature smaller, less robust containment systems than current reactors. This can have negative safety consequences, including a greater probability of damage from hydrogen explosions. SMR designs include measures to prevent hydrogen from reaching explosive concentrations, but they are not as reliable as a more robust containment—which, again, would add to cost. Some proponents have suggested siting SMRs underground as a safety measure. However, underground siting is a double-edged sword—it reduces risk in some situations (such as earthquake) and increases it in others (such as flooding). It can also make emergency intervention more difficult. And it too increases cost. Proponents also point out that smaller reactors are inherently less dangerous than larger ones. While this is true, it is misleading, because small reactors generate less power than large ones, and therefore more of them are required to meet the same energy needs. Multiple SMRs may actually present a higher risk than a single large reactor, especially if plant owners try to cut costs by reducing support staff or safety equipment per reactor. The April 2013 bombings at the Boston Marathon remind us that terrorism is an ongoing threat. Yet the nuclear industry is proposing weaker security standards for SMRs. Industry representatives have suggested potential security force reductions of as much as 70 to 80 percent, which seem likely to leave plants inadequately defended. Some industry representatives have suggested that underground siting could make SMRs less vulnerable to attack, but this is true only in some possible attack scenarios—in others, underground siting could work in the attackers' favor. No matter what safeguards are added to a plant's design, a robust and flexible security force will be needed. Because of SMRs' alleged safety advantages, proponents have called for shrinking the size of the emergency planning zone (EPZ) surrounding an SMR plant from the current standard of 10 miles to as little as 1000 feet, making it easier to site the plants near population centers and in convenient locations such as former coal plants and military bases. However, the lessons of Fukushima, in which radiation levels high enough to trigger evacuation or long-term settlement were measured at as much as 20 to 30 miles from the accident, suggest that these proposals, which are based on assumptions and models that have yet to be tested in practice, may be overoptimistic. Unless a number of optimistic assumptions are realized, SMRs are not likely to be a viable solution to the economic and safety problems faced by nuclear power. While some SMR proponents are worried that the United States is lagging in the creation of an SMR export market, cutting corners on safety is a shortsighted strategy. Since safety and security improvements are critical to establishing the viability of nuclear power as an energy source for the future, the nuclear industry and the DOE should focus on developing safer reactor designs rather than weakening regulations. Congress should direct the DOE to spend taxpayer money only on support of technologies that have the potential to provide significantly greater levels of safety and security than currently operating reactors. The DOE should not be promoting the idea that SMRs do not require 10-mile emergency planning—nor should it be encouraging the NRC to weaken its other requirements just to facilitate SMR licensing and deployment. SMALL MODULAR REACTORS = for YOU AND ME and for the NUKE PUKES! Please PASS IT ON. THE PLANET YOU SAVE MAY BE YOUR OWN.. .
Stewart Brand's book, Whole Earth Discipline, features a chapter claiming that new nuclear power plants are essential and desirable, and that a global "nuclear renaissance" is booming. In this book review, Amory Lovins' review finds fatal flaws in the chapter's facts and logic. In this presentation, Amory Lovins provides evidence that low and no-carbon decentralized sources of energy have eclipsed nuclear power as a climate friendly energy option. He argues that new nuclear power plants are unfinanceable in the private capital market and that resource efficiency provides a cheaper, more environmentally viable option. Some nuclear-power advocates claim that wind and solar power can't provide much if any reliable power because they're not "baseload," that they use too much land, that all energy options including new nuclear build are needed to combat climate change, and that nuclear power's economics don't matter because climate change will force governments to dictate energy choices and pay for whatever is necessary. None of these claims can withstand analytic scrutiny. This semi-technical article, summarizing a detailed and documented technical paper (see "The Nuclear Illusion" (2008)), compares the cost, climate protection potential, reliability, financial risk, market success, deployment speed, and energy contribution of new nuclear power with those of its low- or no-carbon competitors. In this presentation to the Royal Academy of Engineering, Amory Lovins explains the economic and environmental impacts of nuclear power. By showing that companies and governments have cut energy intensity without the use of nuclear power, Lovins shows that nuclear power is not a necessary step in the fight against climate change. And this is the money, money and MORE MONEY quote. Nuclear poison is the beloved baby of the MIC. It gave them power and the ability to finance every project of dubious ethical value and enormous cost to the taxpayer in total secrecy and totally free of all liability for damages of any sort under the false rubric of national security. Controlling energy is only part of the scam. These people were willing to wage nuclear war with losses of up to 40 million in the USA as a "win". No one can seriously entertain the thought that these goons give a **** about childhood cancer clusters around nuclear power plants and genetic defects for the last half a century or so. That is PEANUTS to them. It's WORTH IT for a "few" American children to get cancer and die so they can keep they secret parasitical connection to the tacxpayer intact per secula seculorum. To the MIC, nuclear power is like a rifle to a die hard Second Amendment Prepper. I.E. the MIC will let go of nuclear power when it is pried away from their cold dead hands and not a moment sooner. They NEED that excuse for secrecy and 24/7 government manipulation of energy policy for the benefit of a few oligarchs. They won, Surly. But thank you for continuing to expose how we have been taken and continue to be taken to the "cleaners" (see Orwell) in both money and health until the end. The Journal of New England Nuclear Medicine applauds the new free radiation therapy/spa located conveniently within 25 miles of every major US city providing increased health benefits to the populace by helping them avoid obesity. The new, slim trim appearance, particularly highlighting facial structure and handsome cranial features, is also a hit with Hollywood as all the new films use actors that have obtained these free facial and body health improvements complements of the ubiquitous and life saving presence of nuclear power plants, the holy grail of renewable energy. The new Hollywood Diet. Just think, all these benefits without having to go through painful plastic surgery! Your taxpayer dollars at work! Celebrate our great and glorious energy independence and health with your family today with a fireworks celebration being held next to your local nuclear power fuel rod reservoir/therapy spa pool. Don't forget to bring the kids. In support of the dying nuclear power industry , the New York Times Editorial Board has penned an inadvertent epitaph. Appearing in the May 2 edition, The Right Lessons from Chernobyl twists and stumbles around the paper’s own reporting. Though unintended, it finally delivers a “prudent” message of essential abandonment. The edit drew 288 entries into its comment section before it was capped. I’ve posted one of them at NukeFree.org. Overall they’re widely varied and worth reading. Because the Times is still the journal of record, the edit is a definitive statement on an industry in dangerous decline. The edit begins by citing the “New Safe Confinement” shield being built over the seething remains of Chernobyl Unit 4. Already “almost a decade behind schedule,” its completion is “a race against time” due to the “decrepit state of the sarcophagus” meant to contain the radiation there. That the “vast steel shield” may not be done in time, or may not even end the problem, is downright terrifying, especially in light of the “near-bankruptcy of Ukraine,” not to mention a political instability that evokes horrific images of two hot wars and the cold one. Amidst rising tensions between Ukraine, Russia and the west, the corporate media studiously avoids Chernobyl. But Belarus and Ukraine long ago estimated its cost to their countries at $250 billion each. One major study puts the global death toll at more than a million human beings. Three Mile Island suffered an explosion and melt-down in 1979. Exactly how much radiation escaped and who it harmed are still unknown. The industry vehemently denies that anyone was killed, just as it denied there was a melt-down until a robotic camera proved otherwise. At Fukushima, there is no end in sight. Bad as it was, Chernobyl was one core melt and explosion in a single Soviet reactor in a relatively unpopulated area. Fukushima is three core melts and four explosions in American-designed General Electric reactors, of which there are some two dozen exact replicas now operating in the U.S., along with still more very similar siblings. Spent fuel is still perched dangerously in damaged pools high in the Fukushima air. Thousands of rods are strewn around the site. The exact location of the three melted cores is still unknown. At least 300 tons of highly radioactive liquid pour daily into the Pacific, with the first of their isotopes now arriving on our west coast. Huge storage tanks constantly leak still more radiation. The labor force at the site is poorly trained and heavily infiltrated by organized crime. The Times itself has reported that a desperate, terrified population is being forced back into heavily contaminated areas. Children are being exposed en masse to significant radiation doses. Given the horrific health impacts on youngsters downwind from Chernobyl, there is every reason to fear even worse around Fukushima. “Allure” to whom? Certainly the corporations with huge investments in atomic energy are still on board. The fossil fuel industry is thoroughly cross-invested. And extraordinary corporate media access has been granted to pushing the odd belief that nuclear power can help mitigate global warming. But the vast bulk of the global environmental movement remains firmly anti-nuclear. Grassroots opposition to re-opening any Japanese reactors is vehement to say the least. Amidst an extremely popular revolution in green technologies, U.S. opinion demands that nuclear subsidies be cut, which means death to an industry that can’t live without them. Germany’s green transition has been debated for decades, stepped up long ago by Chernobyl. With strong popular backing, the German nuclear phase-out, as in Sweden, Italy and numerous other European nations (Denmark never built any reactors) has long been on the table. The center-right Merkel government finally embraced it not only because of Fukushima, but because the German corporate establishment decided that going green would be good for business. As energy economist Charles Komanoff has shown, they’ve been proven right. Wall Street has thoroughly rejected atomic energy and is pouring billions into renewables, especially photovoltaics (PV) which convert solar energy to electricity. 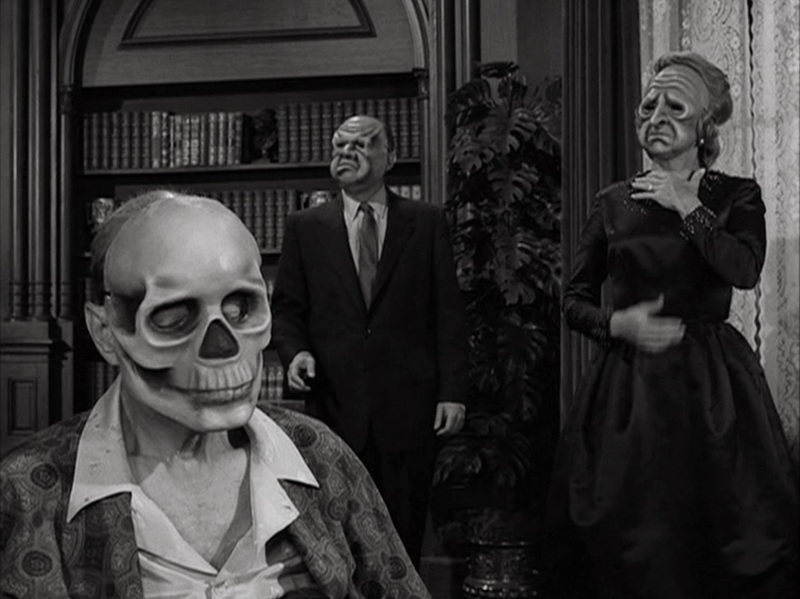 Will the Grey Lady now provide the radioactive disaster insurance missing since 1957? The edit does spare us more hype about the “nuclear renaissance.” After a decade of being pushed to buy a whole new fleet, we’re now begged to be “prudent” about shutting the old tugboats. Above all, we’re not to be “spooked” into mistrusting an industry that for decades said reactors could not explode, but has now blown up five and melted five. 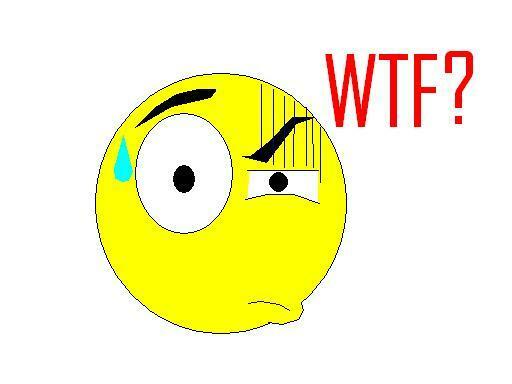 Exelon Launches Front Group to Cover Its ASSets, Undermine Renewable Energy? 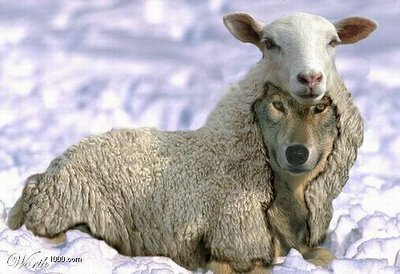 Nuclear Giant Exelon Launches Front Group to Cover Its Assets , Undermine Renewable Energy? Corporate executives often tout the benefits of competition in a free-market economic system, but it's striking just how much large corporations don't like it. In fact, some companies will do all they can to squash it, lobbying for favors and subsidies while working to deny them to their competitors. Exelon's Christopher Crane wants Congress to kill a wind tax break, despite the fact the nuclear industry wouldn't be viable today without decades of federal subsidies. The squabble over a key federal tax break for the wind industry is a case in point. Called the production tax credit (PTC), it has helped quadruple the wind industry's generation capacity over the last five years, and six states now have enough wind turbines to meet more than 15 percent of their annual demand. Unlike most coal, nuclear, and oil and gas subsidies, the PTC — which has been around only since the mid-1990s — is not permanent. Congress has to renew it periodically. Last December, Congress let it expire yet again, and lawmakers likely will not restore it until after the November mid-term elections, if at all. The PTC represents roughly $1.2 billion in annual tax savings to the wind industry. Wind's more-established competitors want the PTC dead. ExxonMobil, the Koch brothers and their front groups , for example, want Congress to let it die. Never mind that the oil and gas industry has been receiving an average of $4.86 billion annually in today's dollars in subsidies and tax breaks since 1918. Or the fact that Congress exempted natural gas developers from key provisions of seven major environmental laws, including the Clean Air Act and Clean Water Act. The nuclear power industry doesn't like the wind tax break, either. Its most outspoken critic is Exelon, the nation's largest nuclear plant owner with 23 reactors at 14 plant sites. The Chicago-based utility contends Midwest wind installations are cutting into its profit margins by driving down electricity prices, and it blames the PTC. The company has been lobbying Congress to terminate it, and as I reported earlier this week, it recently launched a front group, Nuclear Matters, to generate public support for keeping all U.S. reactors running. "If the government believes that they're improving the environment by subsidizing wind, they are wrong," Exelon CEO Christopher Crane told the Chicago Tribune in late April. "It is going to shut nuclear plants down." Around the same time, Exelon Senior Executive Vice President William Von Hoene Jr. clarified the company's position. Exelon is not "anti-wind," he told trade reporters, "but anti-subsidy." Anti-subsidy?! The nuclear industry is awash in subsidies. In fact, the industry wouldn't be economically viable without subsidies underwriting every stage of the nuclear fuel cycle, according to a 2011 report by the Union of Concerned Scientists (UCS). Altogether, those subsidies have often exceeded the average market price of the power produced. What makes Exelon's opposition to the PTC complicated is it is much more than a nuclear power company. The largest supplier of wholesale power in the country, it gets 55 percent of its electric generation capacity from nuclear, 28 percent from natural gas, 6 percent from hydro, 4 percent from coal, and 3 percent from oil. The remaining 4 percent comes from landfill gas, solar and ... wind. Although wind represents a tiny percentage of Exelon's capacity, it's the 12th largest wind farm owner in the country. It was even on the board of the American Wind Energy Association — until it got kicked off two years ago for slamming the PTC. No matter. Given that nuclear power and natural gas represent more than 80 percent of its generating capacity, Exelon is against subsidies — but only for wind and other renewables. Exelon officials don't mention the fact that natural gas is heavily subsidized, and they actually claim with a straight face that nuclear power is not subsidized at all. Within the past year, a bevy of independent, financial analysts (Lazard, Citi, Credit Suisse, McKinsey and Company, Sanford Bernstein, Morningstar) have heralded an economic revolution in the electricity sector. A quarter of a century of technological progress has led to the conclusion that over the course of the next decade a combination of efficiency, renewables and gas will meet the need for new resources and more importantly, render the antiquated baseload model largely obsolete. The academic debate over whether we could get to an electricity system that relies entirely (99 percent) or mostly (80 percent) on renewables late in this century is largely irrelevant compared to the fact that over the next couple of decades we could see a rapid and substantial expansion of renewables (to say 30 percent of 40 percent), if the current economic forces are allowed to ply out and policies to advance the transformation of the electricity system are adopted. Political revolutions tend to follow economic revolutions, which is where we stand in the electricity sector today. The dominant incumbents, particularly nuclear utilities, have recognized that they face an existential threat and they have launched a campaign to eliminate it. Utilities, who loudly announced the arrival of a “nuclear renaissance” less than a decade ago, are desperate to save their fleet of aging reactors from early retirement and “stay relevant to the game going forward” (as the CEO of Exelon, the nation’s largest nuclear utility put it) because they cannot compete at the margin with renewables or gas. This nuclear v. renewables debate is not just “déjà vu all over again, a lot more than the fate of nuclear power at stake. The fundamental approach to delivering electricity in the 21st century, while meeting the challenge of climate change, is on the table. Nuclear power and the alternatives are so fundamentally different that a strategy of “all of the above” is no longer feasible. Nuclear power withers in an electricity system that focuses on flexibility because it is totally inflexible, but renewables cannot live up to their full potential without opening up and transforming the physical and institutional infrastructure of the system. Nuclear power has failed because it has never been able to compete at the margin with other resources — coal in the 1980s, gas in the 1990s and renewables in the 2000s. Renewables have become competitive, not only because technological progress lowered the resource costs of supply dramatically, but also because the growth of information and control technologies have made it possible to integrate decentralized generation technologies into a dynamic two way system that achieves reliability by actively managing supply and demand. The ongoing efforts of Exelon and Entergy to change the rules in the regions of the U.S. that have relied most on market forces epitomizes the political conflict. Unfazed by the fact that the nuclear industry has been the recipient of ten times as much subsidy as renewables on a life cycle basis and continues to receive massive subsidies in the form of socialized the cost of liability insurances and waste management, underfunded decommissioning, inadequately compensated water use, federal loan guarantee and production tax credits for new reactors, continuing R&D funding for small modular reactor technology, and advanced cost recovery for nuclear investment in a number of states, the nuclear industry launched its campaign for survival with an attack on the production tax credit for wind. However, the campaign quickly moved beyond that small subsidy to demand much more pervasive changes in regulatory policy. Precisely because the economics of renewables have improved so dramatically, nuclear power needs to prevent the development of the physical and institutional infrastructure that will support the emerging electricity system. Putting a price on carbon will not solve the fundamental problem because it picks losers (fossil fuels) not winners and that is what nuclear needs because it is at such a huge economic disadvantage. It will give aging reactors a little breathing room, but it will not make them more competitive with renewables at the margin and it will certainly not address the need for institutional reform. Economic dispatch, net metering, bidding efficiency as a resource, demand response, all of which are being fought by the utilities, are not about subsidies; they are about economic efficiency. The regulated physical and institutional infrastructure supported baseload power and retards the growth of the efficiencies of decentralized generation and system management. Nuclear power needs to jerry-rig the dispatch order so that they are guaranteed to run, create capacity markets that guarantee they win some auction, and redefine renewable portfolios to include nuclear. Ironically the current terrain of resource choice and the attack on renewable reflects the fact that renewables have succeeded in exactly the way nuclear has failed. Relatively small subsidies unleashed powerful forces of innovation, learning and economies of scale that have caused dramatic reductions in costs, yielding a much higher return on social investment. Renewable technologies are able to move rapidly along their learning curves because they possess the characteristics that allow for the capture of economies of mass production and stimulate innovation. They involve the production of large numbers of units under conditions of competition. They afford the opportunity for a great deal of real world development and demonstration work before they are deployed on a wide scale. These is the antithesis of how nuclear development has played out in the past, and the push for small modular reactors does not appear to solve the problem, as I showed SMR advocates have proposed. The challenge now is to build new physical and institutional infrastructure. In fact, the growing literature on climate change makes it clear that the cost of the transition to a low carbon sector will be much lower if institutional change precedes, or at least goes hand in hand with pricing policy. Patrick O'Leary said, " Mr. Cooper is right to point out the details and the devil therein. " However, Patrick, these Nuclear power advocates have been double talking from the get go in the 1950s. They KNEW that the claim "too cheap to meter" was a lie when they pushed it on an unsuspecting public. The trail of accidents, deaths and cancer clusters from radionuclide pollution in the USA have been consistently suppressed for well over half a century. And no Patrick, we did not need all those power plants to make weapons. That is a myth, and a cruel one at that. The "favoring" of the nuclear industry was not justified on the basis of weaponry or energy. That has been documented. The reason they got away with it is because of the government undemocratic secrecy provided to these subsidy queens for their free ride on the taxpayer dollar. And it's not over, Patrick. We-the-people are the designated sucker to pay for the clean up of decommissioned power plants and baby sitting of used fuel rods for the next few centuries while the "market forces" (all manipulated and totally UNfree) that made nuclear power profitable for a some conscience free investors conveniently disappear when the government is handed a used poison factory. This is not a benign situation or the effect of capitalism "free market" winners and losers; This is corruption, embezzlement, grand larceny and criminal negligence and massive environmental damage rolled into one elite, predatory oligarchic mess. We must strive to get those investors that made so much money off nukes to PAY for the clean up. We-the-people do not owe the nuclear power advocates anything but contempt for their brazen mendacity. The devil in those details you mentioned doesn't just distort energy policy to favor wasteful parasites like the nuclear power industry, it threatens our very democracy by perpetually claiming they must keep what they do secret for "national security". The nuclear parasites are only concerned about their subsidy security, not national security. Renewable Energy is the sine qua non energy source required in our finite world in order to have a viable biosphere. Anything else is profit over planet nonsense. And for Daniel Seddon, who falsely claims to know anything about engineering, I suggest he look up Amory Lovins, Chief Scientist of the Rocky Mountain Institute to learn about the FLAWS taught in present engineering texts in regard to the design of machinery (reynolds number erroneous data on turbulent and laminar flow friction losses in gasses and liquids) have contributed to a bunch of energy wasteful designs that are pushed as the "most efficient" engineering of machinery possible. Mark Cooper KNOWS of what he speaks. Amory Lovins,a scientist and engineer, backs him up all the way as to the wasteful and polluting folley of nuclear power. Please Pass it on; the planet you save may be your own. This energy plan eliminates the need for nuclear. We cannot do nuclear, alternative energy and energy efficiency. We can, however, do alternative energy and energy efficiency at the same time. 1) Eliminate the investor owned, guaranteed rate of return utility model and replace it with a modified version of the Independent Service Operator (ISO) used in Ontario Canada, California and New York. The principal modification would allow all producers of clean renewable energy to sell their excess electrons into the grid and get paid a check at the end of each month. The chief function of the ISO is established to move electrons around the grid to where they are needed and to provide grid leveling services. Allowing all producers to get paid every month for their excess power generation will create a nation of energy entrepreneurs eager to make a profit off of their investments. Not only will this surge in energy entrepreneurs invest in alternative energy, but they will simultaneously invest in energy efficiency to maximize the number of electrons they can flow into the grid. All regional or state ISO's will mandate time of day pricing in order to level daily and seasonal peak demand periods. California already has time of day pricing, which encourages people to reduce consumption during higher rate periods or shift demand to off peak hours. Leveling peak demand reduces unnecessary energy waste at thermal power plants where utilities have to produce more electricity than they can sell in order to build up for peak demands. The concept of the investor owned, guaranteed rate of return utility model is antiquated and fosters massive energy waste. Thermal power plants operate at a 34 percent efficiency. Grid transmission losses account for another 8 percent energy loss which leaves 26 percent of the remaining power to energize a whole host of inefficient lights, appliances, electric motors, HVAC systems and vampire energy sucking devices. This is an unsustainable energy equation that contributes mightily to climate change. One has to wonder how a utility can make money wasting 74 percent of the energy they produce before it reaches the end user. The answer is the investor owned utility model. Anytime a utility does not earn its guaranteed rate of return, they simply apply for a rate increase with their industry friendly Public Utility Commissions. In addition, the practice of discounting utility rates to commercial users is nearly ubiquitous. Discounting utility rates has the consequence of providing little or no incentive for commercial end users to invest in energy efficiency. Under my plan, businesses will create their own profit centers through investment in alternative energy and while simultaneously investing in energy efficiency in order to maximize their excess flow of electrons into the grid. Superefficient Combined Heat Power Plants (CHP), small wind, rooftop solar, biomass to electricity and fuels cell development will explode onto the scene once the barrier of the investor owned utility model is eliminated. 2) Mandate the use of energy efficient LED lighting, energy efficient electrical motors, energy star appliances and heat pump or geothermal HVAC systems in existing residential, commercial, retail, industrial and government properties. Property owners will be entitled to a 50 percent investment tax credit on all energy efficient items approved for retrofits. Rental property owners will be entitled a 100 percent investment tax credit for energy efficiency retrofits. In addition, all properties will qualify for Property Assessed Clean Energy (PACE) to help fund the upfront costs. Pace programs will have a fixed interest rate at 3 percent. The federal government will impose a $10 megawatt hour carbon tax on utilities/ratepayers to fund retrofits on federal buildings for 5 - 7 years until all government building have been retrofitted. 25 percent of these funds will be allocated to families who rent their homes to help pay for energy efficient lighting. This will generate $47 Billion per year. Local and state governments will increase property taxes by $200 per year per property for 5-7 years to pay for their building energy efficiency retrofits. This will generate $55 - $60 billion per year for energy efficiency upgrades across America. This represent a $700 billion in U.S. investments in government owned infrastructure over 7 years. I estimate that the private sector under this plan will spend $1.5 trillion on energy efficiency retrofits. This is the combined cost of our two wars. The primary difference is that energy efficiency pays, wars cost. 3) All new buildings, including residential properties, will be constructed to a minimum of Platinum LEED Certification. All items associated with the Platinum LEED Certification will receive a two year bonus depreciation schedule in the commercial sector and a 30 percent investment tax credit for residential properties. In order to offset this cost to the government, the investment tax credit will be eliminated for alternative energy now that business and residential producers can get paid a check at the end of each month. The government will also benefit from the $10 per megawatt hour charge applied to alternative energy. 4) The government will pay $10 Billion to the first five automotive companies in the U.S. who either produce a 5 passenger that gets 125 MPG or can travel 400 miles on an electric charge. They will have five years to develop it. The car must also cost less than $40,000. The auto companies who achieve these goals, will receive income tax free status for the 10 years following the introduction of their vehicle(s) and a retroactive tax free status for the five years of development. Foreign manufactures will not qualify. Their respective governments can establish their own goals. 5) Develop the Interstate High Speed Rail System that will parallel the major East/West and North/South Interstate highways. This is where people travel in their cars and this is where the trains ought to travel too. This system development will be funded by a $5 per barrel oil/carbon tax. There shall also be a $5 tax on all air fares. All people with adjusted gross incomes below $100,000 will receive a $2,500 tax credit for the increase in gas prices. 6) All alternative energy producers will pay a $5 per month surcharge to their utility or the ISO to maintain and improve the grid to smart status. 7) Re-establish U.S. forest cover to the beginning of the 20th century level. Tax incentives shall be provided to landowners to replant their land. In addition, a $5 per barrel oil tax shall be imposed on all imports including the oil traveling to the U.S. via the Keystone XL Pipeline. 20 percent of all greenhouse gases are the result of deforestation. None of these changes are onerous in comparison to the full effects climate change will cause civilization and the planet to experience in the years to come. In fact, these changes will lead to full employment, better health, lower health insurance premiums, a sustainable energy economy, lower energy costs, lower taxes as government energy consumption is dramatically reduced and energy independence. Once the energy efficiency programs have been fully implemented, the cost of alternative energy investment will decline dramatically. We will only be replacing what the new demand for electricity will be as a result of the sharp reduction in energy consumption caused by energy efficiency improvements. Most of these costs are offset to consumers and businesses through the energy savings they will achieve by retrofitting their properties and by the investment tax credits. These are real energy savings that will flow to them as long as they own their properties. So how's the "green" Kool Aid! You lads have really gone over the edge. The adrenaline of going over the edge is even greener, thank you! Michael Keller said, "Actually, the plants were Independent Power Producers. If the units were not profitable, we're out of business. " Tell me Mr. Keller, what part of this REPORT by the Union of concerned Scientists do you not understand? Report: "US Nuclear Power Still Not Viable without Subsidies"
(24 Feb 11) A new report entitled "Nuclear Power: Still Not Viable Without Subsidies", prepared on behalf of the Union of Concerned Scientists, provides a detailed review and quantification of subsidies to nuclear power in the United States. The report concludes that subsidies to the nuclear fuel cycle have often exceeded the value of the power produced. 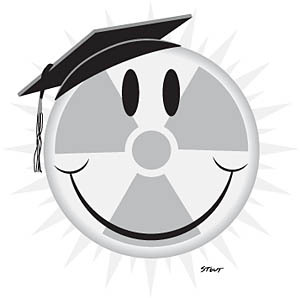 Subsidies to new reactors are on a similar path. The analysis claims to catalog in one place and for the first time the full range of subsidies that benefit the nuclear power sector. Since its inception more than 50 years ago, the nuclear power industry has benefited-and continues to benefit-from a vast array of preferential government subsidies. Indeed, as the report shows, subsidies to the nuclear fuel cycle have often exceeded the value of the power produced. Subsidies to new reactors are on a similar path. The most important subsidies to the industry do not involve cash payments, the report concludes. Rather, they shift construction-cost and operating risks from investors to taxpayers and ratepayers, removing from investors an array of risks ranging from cost overruns and defaults to accidents and nuclear waste management. This approach has remained consistent throughout the industry's history, according to the report, which claims that market choices that would otherwise favor less risky investments are distorted as a consequence. Although it may not involve direct cash payments, such favored treatment is nevertheless a subsidy, with a profound effect on the bottom line for the industry and taxpayers alike. Your gravy train of taxpayer theft is about to end, Mr. Keller. We-the-people kind of resent being fleeced for you "Independent" LOL! power producers. Thanks for your patience, persistence, fortitude and reasoned, fact based logical arguments. These creative accounts in the nuclear power plant taxpayer fleecing racket need to get reminded of their history of grand larceny as often as possible :>). Mr Gelbert is absolutely right. The nuclear industry has had virtually all of its costs transferred to the public via an assortment of sleazy means. And the worst part is the real long term costs wont be realized for generations. If you could get an honest answer from the Japanese government id suggest asking them what they think it'll cost them for the failings of their nuclear plants. Failings that are the direct result of human beings and low costs designs to save a dollar. What rocket scientist decided to put their back up generators anywhere near where a tidal wave could reach them??? This in an area that's suffered earthquakes and tidal waves for,,what,,a few hundred thousand years of verifiable geologic history??? No one should ever doubt that this sort of decision was made on the basis of money...Such folly and such lies and such greed. Betcha they wish they had a few thousand windmills off their coast instead of these nuclear plants now!! You lads are mistaken. I am not defending nuclear power. I am stating that the competitive market place should fundamentally set power prices. Nobody should be given exclusive assistance not available to others. That means if somebody gets some form of help (e.g. accelerated depreciation ) then everybody else gets the same advantage. As to the Union of Concerned Scientists report, in their current form, new nuclear power plants are not particularly competitive. Make them more competitive or don't build new ones. Ditto for renewable energy. Agelbert NOTE: RIGHT... In order for those of us without Orwellian vocabularies to understand what Mr. Keller MEANS BY "competitive" (and don't forget "particularly" - that's a GO-O-O-D ONE! ), You need to read some of MKing's "rational" inversions of CFS pushed as if that mindfork was the most natural thing in the world! I say, these game theory "bright bulbs" :emthdown: are rather slippery. I finally agree with you, "the competitive market place should set power prices", "and nobody should be given exclusive assistance". I'm not a rigid free market person but that's probably because, while a free market is a great sounding idea, I've never seen it practiced anywhere. Because someone or some industries are always trying to skew the process, and the nuclear, coal and oil industries have historically skewed the process in order to maintain their existence, and profits for a few. It was the 1970's when we Americans woke up to our dependence on fossil fuels and first glimpsed this dependencies real costs. but we were blinded to the facts by the coal and oil companies and continued down the same road. . Imagine what the world would be like today if we, and everyone else, had acted on this dependency then and pursued some level of self sufficiency in renewable energy instead of letting the fossil fuel industry skew our reality in order to maintain their profits. Imagine the savings just in the dirty little oil wars that have been waged. So,, ill still take windmills slowly turning in the breeze and solar panels soaking up rays any day, to avoid the total costs of fossil and nuclear fuels. Joe gets it! Soon he will figure out that WE DID TRY and WE HAVE tried to get off of fossil fuels since the 1930s! At absolutely every juncture in the introduction of Renewable Energy sources from ethanol (killed by Rockefeller funded Prohibition 1920-1933) to Chemurgy (killed by big paper, big oil and the chemical giants including Du Pont and Dow Chemical) to building nukes when dams were orders of magnitude cheaper in the 1950s to PV crushed in the 1970s to Wind subsidies killed in the 1980s while tanker hull safety was delayed over ten years (contributing to the Exxon Valdez mess) to global warming denial by the George C. Marshall institute of profit over planet lying, murderous sacks of **** from the late 1980s to the PRESENT, it was has been a 24/7 ATTACK on we-the-people's choices so we COULD NOT OBTAIN cheap renewable energy. Part and parcel of this pack of lies is that oil is presented as a valuable resource worthy of fight wars over for "national security" when it is a biosphere destroying liability. National security? NO! Fossil Fueler Fascist Security and FREEDOM to BUY our government and keep those God Damned "subsidies" in place! Are we having fun yet? Are you tired of playing "catcher" for the energy oligarchs? I've got chapter and verse on the energy rip off of a century with lots of dead people from unnecessary wars and lots of totally unnecessary and massively harmful pollution FOR WHAT!!?? To make a SUCKER out of you and me and steal democracy (what little we have) from us in the process. Details at the Renewable Revolution Forum. Just do a search in the forum with any of the terms above. Dilworth (2010-03-12). Too Smart for our Own Good (pp. 399-400). Cambridge University Press. Kindle Edition. "As suggested earlier, war, for example, which represents a cost for society, is a source of profit to capitalists. In this way we can partly understand e.g. the American military expenditures in the Persian Gulf area. Already before the first Gulf War, i.e. in 1985, the United States spent $47 billion projecting power into the region. If seen as being spent to obtain Gulf oil, It AMOUNTED TO $468 PER BARREL, or 18 TIMES the $27 or so that at that time was paid for the oil itself. In fact, if Americans had spent as much to make buildings heat-tight as they spent in ONE YEAR at the end of the 1980s on the military forces meant to protect the Middle Eastern oil fields, THEY COULD HAVE ELIMINATED THE NEED TO IMPORT OIL from the Middle East. So why have they not done so? Because, while the $468 per barrel may be seen as being a cost the American taxpayers had to bear, and a negative social effect those living in the Gulf area had to bear, it meant only profits for American capitalists. " Note: I added the colored graphics and font size changes and the bold caps emphasis on the barrel of oil price, money spent in one year and the need to import oil from the Middle East. This totally unjustified profit, never mind the needless lose of lives, then increases the power of the fossil fuel corporations to perpetuate a biosphere harming dirty fuel status quo. How? By "funding" politicians with rather large "donations" to keep renewable energy from competing with dirty energy. Nuclear War at Renewable Energy world CONTINUED! Bill Scutt------" I am a biological scientist, and the mainstream biological community would not agree that alpha emitters are much worse than beta or gamma emitters. I don't know what you are, but you are NOT a biological scientist. No biologist alive would make such stupid statements. The completely flawed and off the wall logic tends to indicate a political huckster or special interest hack writer. Bill Scutt claims his hero is right in claiming "live in a radioactive world and we are superbly adapted to it". I guess he didn't read the extensive testing on Drosophila Melanogaster in the 1930s, long before the bomb. Do you know what mutagenic means, Bill? An agent, such as ultraviolet light or a radioactive element, that can induce or increase the frequency of mutation in an organism. Tests on fruit flies proved the severe mutagenenicity of radiation on offspring that did not go away, but increased with each subsequent generation; even though only the first had been given radiation doses THAT DID NOT KILL the fruit flies so they lived an average life span. What next, Bill? Are getting ready to tell us radiation is "good" for us too? That's rather old AND LETHALLY ERRONEOUS news. Long before the bomb gave you crazies all those lethal toys, there was a "radiation is good for you" craze in this country. The popularity of this "wonder therapy" didn't last. Here's the story, Bill. I guess you never got the word or are paid well to push pro-nuke mendacity. Of course the pro-nuclear advocates never got the word and that's how "Nuclear Medicine" was born as a way to charge for nuclear power plant "products". Never mind that short half life tracers can all be made in a cyclotron without the risk, expense and pollution of building a large nuclear power plant, eh Bill? But that game is up. Do you know what tyrosine kinase enzymes are, Bill? If you are a biologist scientist, you should. It's linked to over 90 percent of all cancers. You see, radiation (not a lot Bill, not enough to kill you Bill, just enough to be above that pesky limit you wear those badges in nuclear power plants for) UPREGULATES those enzymes in human tissue. All mammals have them in every cell. They are part of the apoptosis clock that tells cells when to die. Guess what? When upregulation from radiation exposure occurs, the TKE "forgets" to tell a cell it is time to die and, instead, accelerates cell division! That gives us what is known as a tumor. Whether it is benign or malignant is beyond the scope of this post but you can be certain it does not do a human any good. We ARE NOT adapted to cancer from radiation caused TKE upregulation! The word is out Bill. The nuclear BULL and profit over planet fraud is public knowledge thanks to real nuclear scientists with ethics like Arnie Gundersen of Fairwinds. I learned much of what I know from him. He has chapter and verse on 3 mile island and it's "effects" on men, women, children and animals. It seems they weren't too "superbly adapted to radiation", Mr. Bill. You calloused bunch of nuclear advocates kept a tight lid on the epidemiological studies but they leaked. Tough luck for you conscience free folks, eh? 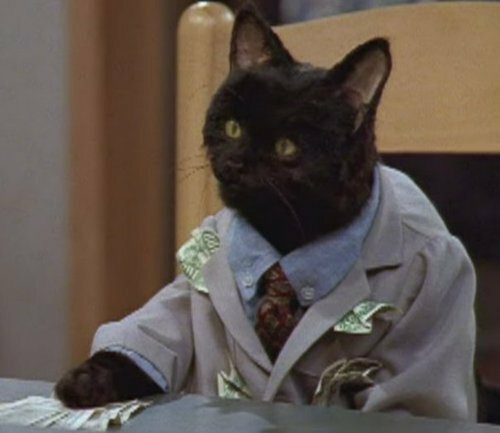 You people are right there with the 19th century snake oil salesmen and other entrepreneurs throughout history that are fast talkers doing anything for profit. "Eye drops containing bird dung were used from the 16th century through the 18th century to help treat eye infections." Radiation is WORSE, much much worse than bird dung, Bill because every subsequent generation will have more degraded DNA. That means, in addition to more cancers, more deformities and organ abnormalities so you can make money off of nuclear power plants. We are not going to put up with that criminal insanity any more. I's over, Bill. Live with it.